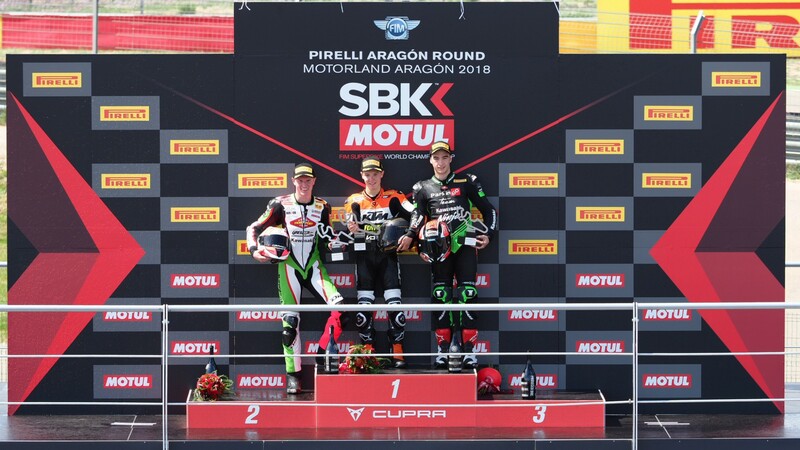 Koen Meuffels (KTM Fortron Junior Team) made his debut FIM Supersport 300 World Championship race one to remember, with a photo-finish win over fellow Dutch rider Scott Deroue (Motosport Kawasaki) at MotorLand Aragon. Mika Pérez (Kawasaki ParkinGO Team) repeated his performance from last year with a third place finish, despite leading six out of the eleven laps. 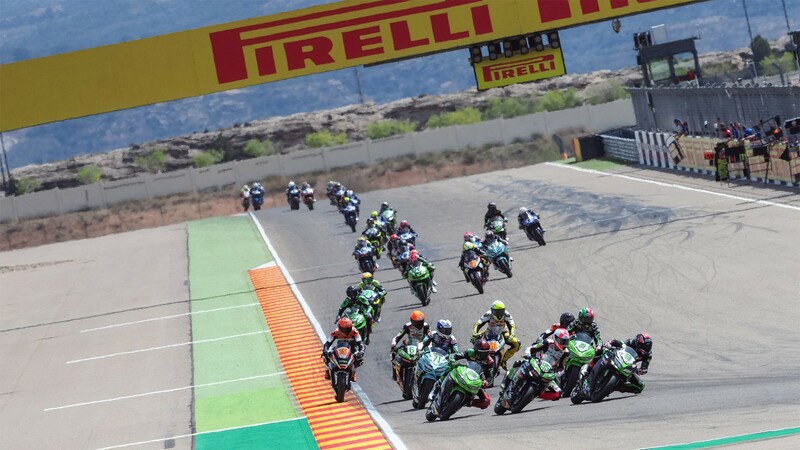 The first race of the WorldSSP300 season showed all of the same hallmarks from last year, when the debuting category proved to be one of the most exciting and unpredictable competitions in all of motorsports. 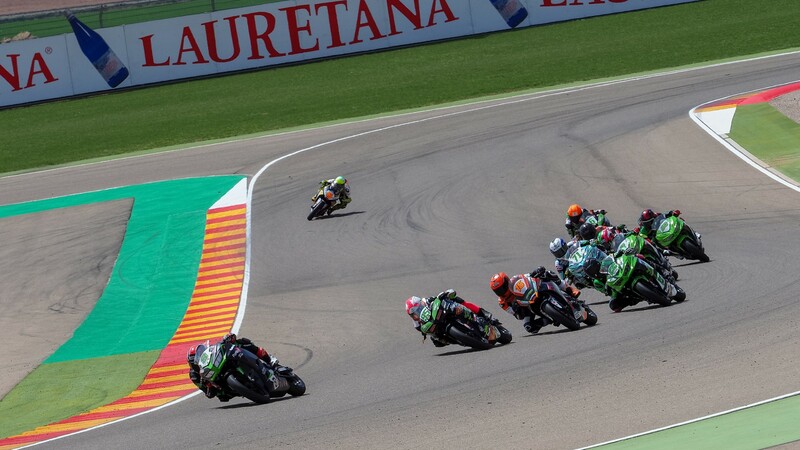 Halfway through the race, a nine-strong group had formed at the front, with just about every rider taking the provisional lead at some point as the gap from first to ninth kept under one second. 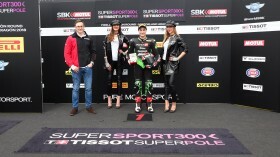 That group remained together until the end, with the exception of sixteen-year-old Tom Edwards (Nutec-Benjan-Kawasaki) who crashed out with less than two laps to go. It ended up being a drag race finish to the line, with Meuffels edging out last year’s winner and poleman Deroue by three hundredths of a second. 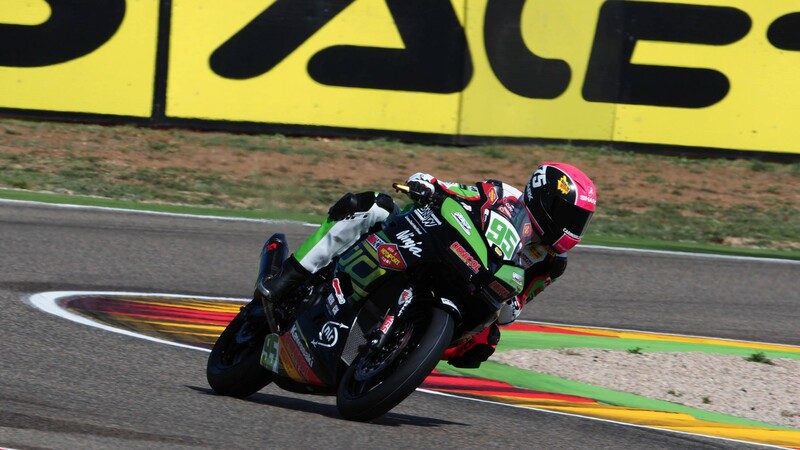 Just missing out on the podium were Mykyta Kalinin (GP Project Team) in fourth, Robert Schotman (Motosport Kawasaki) in fifth, and Ana Carrasco (DS Junior Team), who led the second-most laps at MotorLand Aragon but comes away with just ten points, finishing in sixth. Glenn van Straalen (KTM Fortron Junior Team) and Dorren Loureiro (DS Junior Team) completed the runaway group in seventh and eighth, respectively. 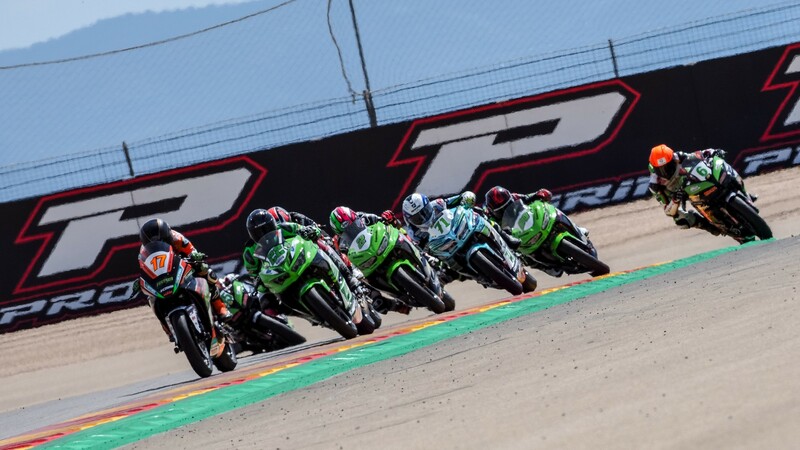 WorldSSP300 returns next week at Assen, with the second race of the season and all the riders eager to make their mark. 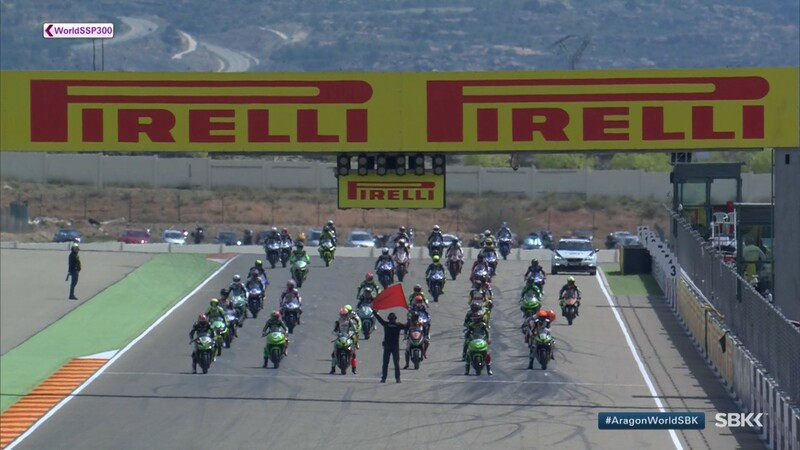 Catch all the preparations for the race thanks to the WorldSBK VideoPass.